Summer is always a season when people relaxing under the sun. However, this time ecommerce community was still active. So, let’s revise TOP-5 articles on Cart2Cart’s Blog, those were the most exciting for our visitors. Day by day shopping carts improve their functionality to attract more and more merchants. User-friendly interface, easy customization and bunch of top-end features out of the box are among the most popular reasons to switch from an old e-Commerce platform to a new one. However, this procedure could be a tricky thing. For those, who decided to change their current cart and to migrate to another one, EcommercePartners prepared an excellent infographic. It shows main steps of re-platforming and things you should know before you start this thorny way. On the other hand, Cart2Cart can seriously simplify technical part of data transfer and eliminate one of the most complicated things while changing carts. - huge number of extensions. 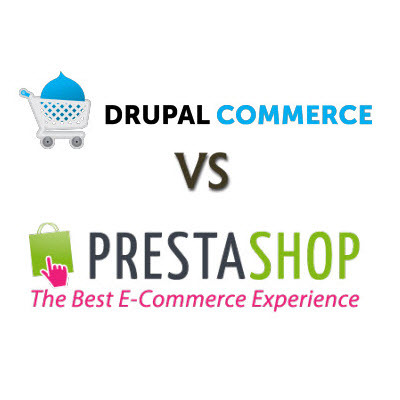 However, PrestaShop and Drupal Commerce have distinct features. Check the article for more details. Each e-commerce platform tries to give its merchants as many features as it can. 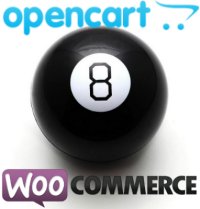 OpenCart and WooCommerce are not exceptions. These two shopping carts provide good opportunities to sell goods online. On the other hand, both carts have differences those can be critical for many merchants. OpenCart is a free open source platform. It is user-friendly and allows to handle webshop even for people without programming skills. The platform has low maintenance costs and can boast of multi-store feature that allows to run several shops via single admin panel. WooCommerce is a WordPress plugin that is also available for free. It was about 2 years ago and doesn’t have a long development history, but already has a huge popularity in Wp community. Check the whole article to find out 8 core features of both solutions. 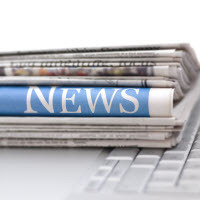 It was a hot summer full of hot news from major shopping cart vendors. Here are only some of them. CS-Cart announced its 4-th version. The platform presented redesigned, improved and rebranded editions: Ultimate, Ultimate (free) and Multi-Vendor. The central feature of this release is the in-built theme editor. Now merchants can customize their storefront in real time. Several improvements were added to admin panel to make it more intuitive. Definitely, CS-Cart is on the right way of development and a new version proves this fact. MijoShop “beautified” its admin panel and improved performance speed in the new 2.0 version. This edition was developed solely by MijoShop Team and includes additional themes and optimized category browsing. MijoShop doesn’t rely on OpenCart core in its development, however, the 2-nd version still supports all OC extensions. improved Google integration, now Shopify 2 has Asynchronous Google Analytics code and supports Google Analytics Remarketing. Over 350 functional changes includes new Magento 1.8 Community Edition (Alpha release). New features include improved data import/export, enhanced API and extended list of payment methods. On the other hand, e-Commerce community is still impatiently waiting for v2. OpenCart allows to sell online easily and without special skills. It has intuitive admin panel, WYSIWYG editor and good marketing tools. That is why more and more merchants want to migrate to this e-Commerce solution. But data transfer is a serious procedure that requires some preparation. Cart2Cart allows to move products, customers and orders from more than 45 different shopping carts to OpenCart smoothly and quickly. If you decided to transfer data, for example, from Magento to OpenCart, check several useful tips on how to prepare your shopping cart. Summer 2013 was full of different interesting events in e-Commerce. 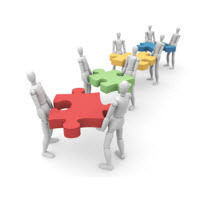 Several front players announced new versions of their solutions and the competitions became tough. Hope, Fall 2013 will prepare even more exciting news.